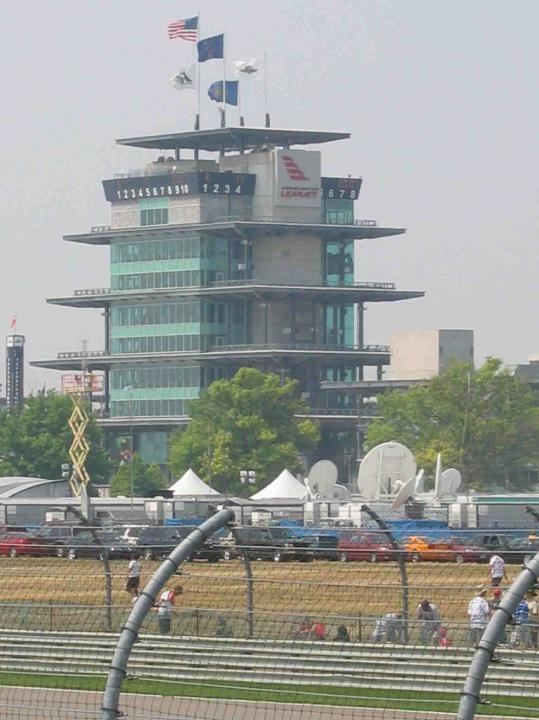 This is the Pagoda at the Indianapolis Motor Speedway. It's used for race officials (timing and scoring), the media and extra special VIPs. True wheel to wheel racing! The picture at the top of the page was taken from this image. 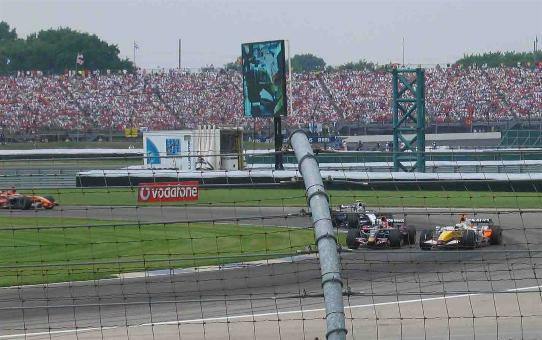 This is turn 7 just as the drivers are headed down the back straight. 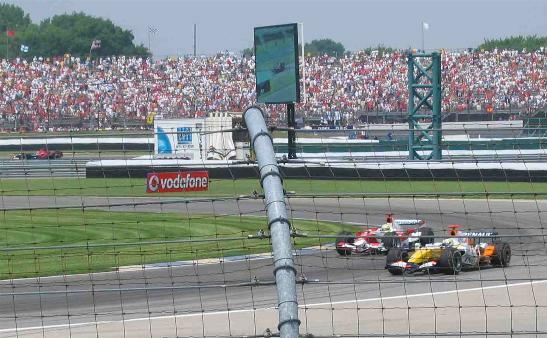 Giancarlo Fisichella was really working this corner to do some passing. 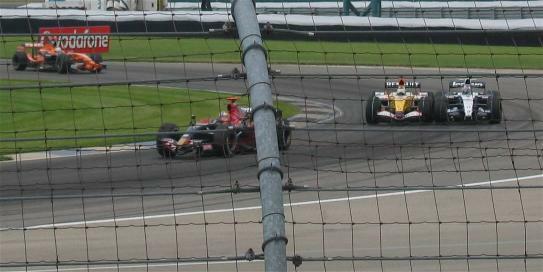 Gian slides his way around another competitor at turn 7. He was really on a roll.